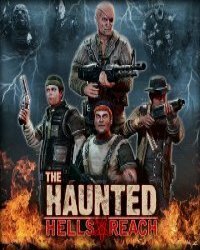 All Hell Has Broken Loose The Haunted is a fast paced third person action horror game that focuses on delivering an intense multiplayer experience. Your goal is to liberate cursed places and survive the assault from the minions of Hell. The game features several multiplayer modes such as co-op survival, demons vs. humans and demonizer.